The Music Center has added James Taylor, Brandi Carlile and Scarlet Rivera to the previously announced powerful line-up of singers and musicians who will honor Joni Mitchell on her 75th birthday as part of JONI 75: A Birthday Celebration Live at the Dorothy Chandler Pavilion* on November 6 and 7, 2018. 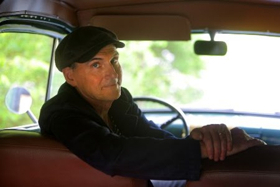 James Taylor and Brandi Carlile will join Glen Hansard, Emmylou Harris, Norah Jones, Chaka Khan, Diana Krall, Kris Kristofferson, Los Lobos, Graham Nash, Seal, and Rufus Wainwright to perform songs from Mitchell's prolific career. Scarlet Riverawill be a featured guest member of the band. Co-musical directors providing the musical arrangements for the evenings are drummer Brian Blade, who recorded three studio albums and toured extensively with Mitchell, and, pianist, composer, arranger producer Jon Cowherd. The Music Center's Artistic Advisor Jorn Weisbrodt is the creator of the two evenings, and Danny Kapilian is the music producer. Commenting on the opportunity to fête Mitchell, James Taylor said, "I wouldn't want to miss this shindig for the world." Taylor and Mitchell share a special friendship that began early in their careers in the 1970s and continues to this day. As a recording and touring artist, Taylor has touched people with his warm baritone voice and distinctive style of guitar-playing for more than 40 years, selling more than 100 million albums and winning multiple Grammy awards. Taylor has been inducted into both the Rock and Roll Hall of Fame and the prestigious Songwriters Hall of Fame. Taylor was presented with the Presidential Medal of Freedom, the nation's highest civilian honor, in 2015 and received the Kennedy Center Honors in 2016 for distinguished achievement in the performing arts. Grammy-nominated singer, songwriter and performer Brandi Carlile regularly performs Joni Mitchell's songs in Mitchell's honor. Over the course of her acclaimed career, Carlile has released seven albums, including this year's breakthrough, By The Way, I Forgive You, which debuted at No. 1 on the BillboardTop Current Albums chart and continues to receive overwhelming acclaim and inclusion in the "Best Albums of 2018" at Rolling Stone, Entertainment Weeklyand Billboard magazines. The new album follows last year's Cover Stories: Brandi Carlile Celebrates 10 Years of the Story (An Album to Benefit War Child), which features 14 artists including Adele, Pearl Jam and Kris Kristofferson covering the songs on her breakthrough album The Story with all proceeds benefiting War Child. In joining the concerts honoring Mitchell, Carlile said, "Listening to Joni is like discovering life on other planets. To say she has influenced me as an artist and a woman is an understatement. She is an absolute trailblazer and has paved the way for me and other songwriters to be fearless and honest with our craft. She gave me a voice I didn't know I had." As one of the world's most prominent, active and versatile violinists, Scarlet Rivera is known for her contributions to the recordings and performances of such influential artists as Bob Dylan, Indigo Girls, Tracy Chapman, Keb 'Mo, David Johansen and Sylvia Tyson (Ian and Sylvia). She was also a featured soloist with the Duke Ellington Orchestra at Carnegie Hall, the Kennedy Center and the Carnival of Venice, Italy. Under her own name, she has 15 albums to her credit and has performed in the US, Europe and Asia. Mitchell has shown over the years that her work has no boundaries, crossing genres from folk and pop, to jazz and world music. She has 19 albums, nine Grammy awards and 16 Grammy nominations, along with a catalogue of music that spans more than five decades. In 2017, Mitchell's 1971 album Blue was named number one on National Public Radio's list of the 150 greatest albums made by women. She is also a prolific painter, who hails from Canada but has called Los Angeles home for decades. "We are thrilled that L.A. audiences will experience some of the most talented artists and a wide range of music genres on The Music Center's Dorothy Chandler Pavilion stage for JONI 75: Live at the Dorothy Chandler Pavilion," said Rachel Moore, president and CEO, The Music Center. "What better way to salute Joni Mitchell's remarkable career and talents than by bringing together those who have been and continue to be inspired by her. These concerts will be a once-in-a-lifetime experience." Following the second concert, on November 7, 2018, The Music Center will celebrate Mitchell on her birthday with The Music Center's Soirée: JONI 75, a special gala for her and a fundraiser for The Music Center's artistic programming as the organization strives to deepen the cultural life of every resident of Los Angeles County. During the post-performance special event, The Music Center will honor Mitchell with The Music Center's Excellence in the Performing Arts Award, acknowledging her pioneering spirit and timeless art and music. The Music Center first bestowed this award, which salutes individuals who are innovators in the creative and performing arts, upon another great artist - actress, dancer and singer Rita Moreno - in 2016. The Music Center's Soirée: JONI 75 is presented by The Music Center in partnership with Vanity Fair and its editor, Radhika Jones. Proceeds from the event will benefit The Music Center's programs. Those funds will help The Music Center provide access to the performing arts to new and diverse audiences through nationally recognized arts education programs, world-class dance presentations that inspire and enchant audiences, and free and low-cost community programming that reaches across boundaries of age, race, ethnicity, gender and beyond. More tickets have been released for the November 6 and 7, 2018 concerts and are available at The Music Center's Dorothy Chandler Pavilion Box Office, 135 Grand Avenue, Los Angeles, CA 90012; by calling (213) 972-0711; and online at musiccenter.org/joni. Special packages, including prime seats for the November 7, 2018 concert and gala dinner, are available by calling (213) 972-4322 and online at musiccenter.org/joni75soiree. This article has been viewed 1,087 times since being added on September 26, 2018.